This fraud prevention module will screen every order transacted on BigCommerce e-commerce platform in real-time for payment fraud. Its sophisticated validation algorithm will accurately detect the fraud patterns to help you to minimize the chargeback and fraud losses. Please visit the FraudLabs Pro Features page to learn more about the type of fraud validation performed and how it could help you to prevent the payment fraud. Login to the BigCommerce admin area. Click on the App and then search for FraudLabs Pro. Then, click Install..
Next, click Confirm to enable it. 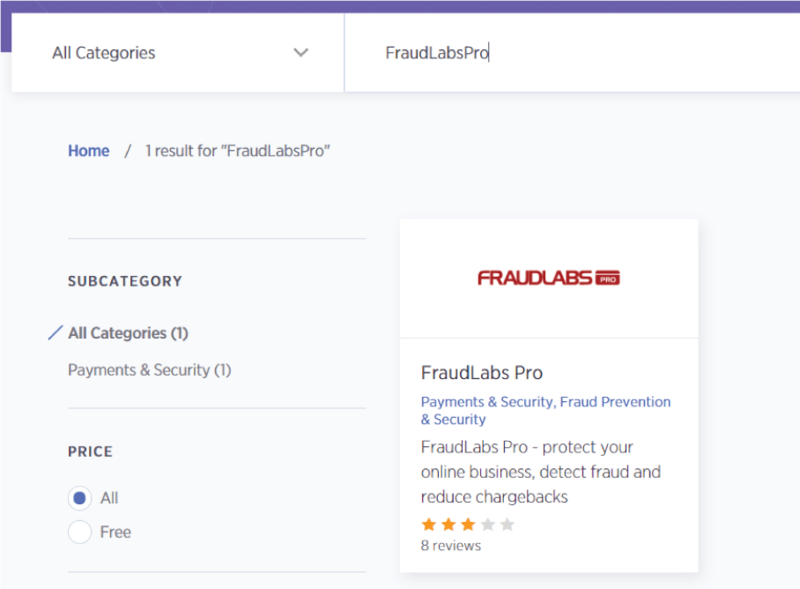 To view your validation result, please click on the FraudLabs Pro logo in your BigCommerce admin area. Once successfully installed, the FraudLabs Pro will automatically validate all orders transacted in BigCommerce. After the validation, the system will return you 3 possible FraudLabs Pro status, namely APPROVE, REVIEW and REJECT. Please visit FAQs for the FraudLabs Pro status explanation. 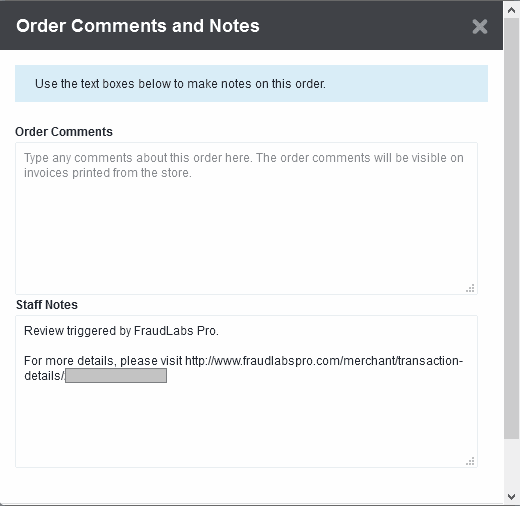 FraudLabs Pro module will display you the indication, the Order Status, on the BigCommerce Orders page if an order was flagged as possible fraud (either the REVIEW or REJECT case). You may view the details validation results by visiting the link given in the BigCommerce Order Notes. Do I need to manually click on Approve or Reject button on FraudLabs Pro transaction details page? In most cases, you do not need to. The system will automatically capture the BigCommerce Order Status and update the FraudLabs Pro Status accordingly. For example, if an order had been successfully shipped and completed, we will update the FraudLabs Pro Status to Approved. However, if the Approved order was later filed as chargeback for some reasons, you may want to manually re-update it as Rejected in our merchant area, so that the system can learn the pattern for future checking. Below please find the screenshot of the mentioned Approve and Reject button in the merchant area.